Celebrating the life of Donald I. Kerr, Jr.
Obituary for Donald I. Kerr, Jr.
Donald Isaac Kerr Jr. of Warsaw IL passed away on April 5th, 2019 at the age of 86. Don was born November 11, 1932 at Graham Hospital, Keokuk, Iowa to Donald I. Kerr Sr. and Anabel Lyell Kerr of Warsaw, IL, Rocky Run Township. He attended White Prairie Grade School and graduated from the 8th grade in 1945 and Warsaw High School in 1950. Don graduated from Western Illinois University in Macomb with a degree in Vocational Agricultural Education in 1953 after which he enlisted in the U.S. Army. He served during the Korean Conflict from 1953-1955 in both Texas and Germany. On March 6, 1954 he was united in marriage to his high school sweetheart Marilyn (Polly) Thornton at the First Presbyterian Church in Warsaw by the Rev. McMaster Kerr. They enjoyed 5 months together in Germany as Don finished his tour of duty during which they had the opportunity to tour Germany, France, Italy and Switzerland. After his honorable discharge from the U.S. Army in January 1955 he enrolled at the University of Illinois at Urbana. He received both his Bachelor of Science Degree in 1956 and his Master of Science Degree in 1957 while at the University. From 1957-1961 Don was employed as the Agricultural Education Instructor at Wyoming Illinois High School. His love of the farm brought him and his family back to his home town to farm in the Warsaw bottoms in 1961. Don loved his Lord, his wife (Polly) of 65 years, his family and farming with all of his heart. 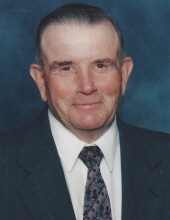 He was a member of the Hancock County Farm Bureau and served on the Board of Directors for 6 years. He also served on the Hancock County Grain Company Board for 10 years serving as President when the new elevator in Warsaw was built. Don had a 9-year tenure serving on the Warsaw Community District 316 Board of Directors and was President of the Board for a number of years during the time when the New Grade School was built in 1976. Other memberships include the Veterans of Foreign Wars Post 05177, the American Legion 0682, Corn Growers Association and the American Soybean Association. Don was a member of the First Christian Church Disciples of Christ Keokuk, Iowa and served as leader of the Sunday School “Friendly Class” for a number of years. Donald is survived by his wife of 65 years Marilyn (Polly) Kerr; Sons: Donald (Tad) Kerr III (wife Nancy) of Dixon IL, Victor Kerr (wife Rita) of Warsaw IL, Brian Kerr (wife Elizabeth) of Ames IA, Jason Kerr of Nashville TN, and daughter Tracy Sanders (late husband Jerry) of St Paul MN, seven grandchildren: Garrett, Matthew, Rebecca, Sarah, Nicole, Olivia and Nathaniel, brother Robert Kerr (wife Marie), niece Melody Carr, nephew Bob Kerr Jr and cousins. Don was preceded in death by his parents, grand-parents, aunts and uncles. Funeral Services was held at 11 a.m., Tuesday, April 9, at the First Christian Church, 3476 Main Street, Keokuk IA with Pastor David Turner officiating. Burial with military rites was held at the Oakland Cemetery, Warsaw IL. Visitation was held on Tuesday, April 9, from 10 – 11 a.m. at the church with family meeting with friends at that time. Memorials may be directed to either the First Christian Church of Keokuk or the donor’s choice. "Email Address" would like to share the life celebration of Donald I. Kerr, Jr.. Click on the "link" to go to share a favorite memory or leave a condolence message for the family.